Worldwide, ecommerce growth is primarily being driven by consumers using their mobile devices, phones and tablets, to acquire goods and services. According to eMarketer estimates, retail ecommerce sales reached US$2.3 trillion in 2017, a 23.2 per cent increase over the previous year. The mobile share stood at 58.9 per cent, or $1.4 trillion. 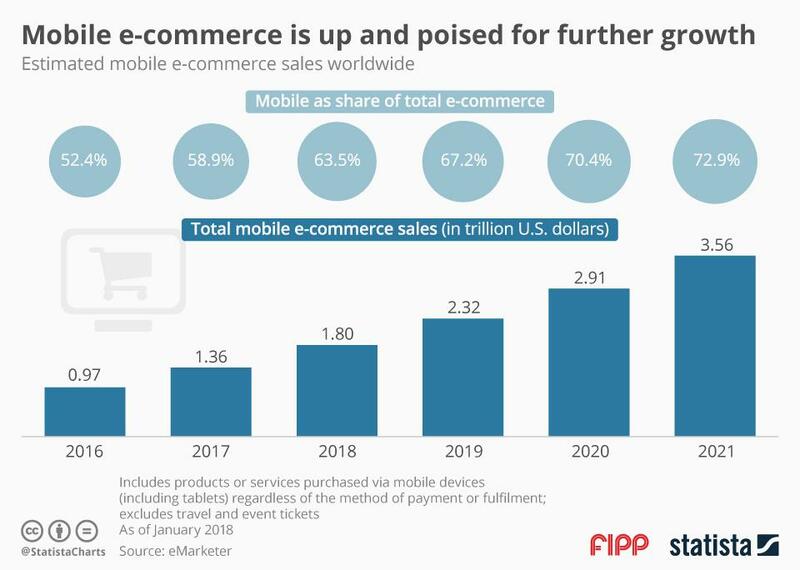 In 2021, mobile ecommerce could rake in some $3.5 trillion and then make up almost three quarters (72.9 per cent) of ecommerce sales. “A majority of first-time digital buyers are now completing transactions via mobile devices, specifically smartphones,” eMarketer elaborates. As this mobile savvy audience matures, “their purchase frequency and amount spent online will only increase.” The data covers products or services purchased via mobile devices, regardless of the method of payment or fulfilment. It excludes travel and event tickets. Publishers too, will have to keep concentrating on mobile first strategies, as this is where the consumers are mingling and spending.